Gasoline prices are drifting lower from their post-Hurricane Harvey spike, but remain significantly higher than this time last year. The AAA Fuel Gauge Survey shows the national average price of regular gasoline is around $2.57 a gallon, down five cents from a week ago but 37 cents higher than fall 2016. Prices rose quickly after Hurricane Harvey hit the Texas Gulf Coast last month, forcing many refineries to curtail production. That created supply shortages, raising the price of gasoline nationwide. After topping out close to $2.70 a gallon, gasoline prices have been going down over the last two weeks. "That downward momentum is starting to pick up steam," Gasbuddy senior analyst Patrick DeHaan told ConsumerAffairs. "Gasoline inventories are continuing to recover after hurricanes Harvey and Irma, and that's helping to put downward pressure on gas prices." 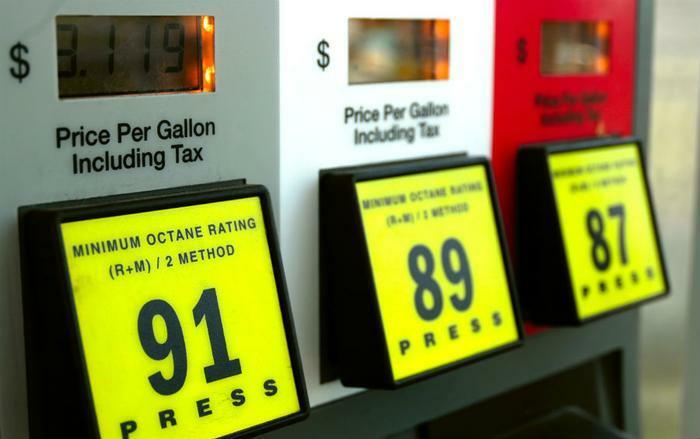 Consumers in some states are seeing gas prices fall faster than the nation as a whole. DeHaan says prices seem to be falling faster in the Midwest and in the East; Delaware leads all states with a decline of around 10 cents a gallon in the last week. Prices remain higher than normal in the Southeast, which normally enjoys some of the lowest fuel prices in the nation. "We're still seeing some supply problems as a result of that temporary partial shutdown of the Colonial Pipeline after Hurricane Harvey," DeHaan said. "We're still getting back on our feet in the Southeast." Both Florida and Georgia have statewide gas price averages of $2.66 a gallon, the highest in the region. But inventory issues are still affecting prices in the Carolinas, Tennessee, and Virginia. South Carolina, normally the state with the cheapest fuel, has a current statewide average gasoline price of $2.46 a gallon. A month ago (before Hurricane Harvey), it was $2.07. Tennessee's average price of $2.50 a gallon is still 37 cents higher than a month ago. In the West, California has the most expensive gasoline. The statewide average for regular is $3.12 a gallon -- but it's 13 cents higher at San Francisco area gas stations. Hawaii and Washington are seeing slightly lower gas prices this week and are the only states besides California where the average price has eclipsed the $3 per gallon mark. Autumn is normally a time when gasoline prices fall a bit faster, since oil refineries have switched to producing cheaper winter-grade gasoline. The EPA requires stations to sell summer blends between June 1 and September 15, but it has allowed earlier sale of winter grades because of the hurricanes. That may have helped bring down prices a bit, but DeHaan says there are other economic forces at work that may limit the benefit to consumers. "Oil prices are now $51 a barrel, so gasoline prices may not get as low as they were before the hurricanes, when oil was selling for around $47," he said.